What 30 Years of Genealogy Research Looks Like - who is nicka smith? 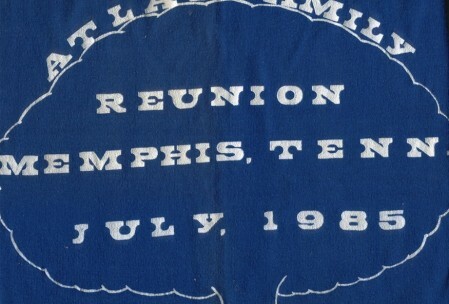 The Atlas Family Genealogy Research Project was announced 30 years ago in Memphis, Shelby, Tennessee. What do we have to show for 30+ years of genealogy research? It was July 1985 and it was hot as all get out in Memphis. 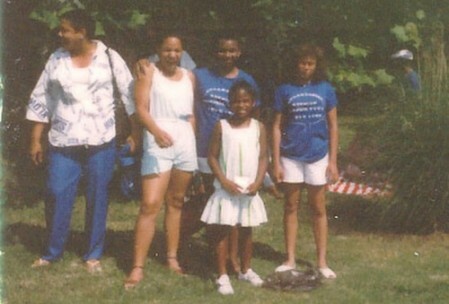 I was just a six year old little girl, a REALLY tall one (LOL), excited to see family members and to travel across the country for our family reunion. While this was the sixth time we had formally gathered as a family, despite my young age, it was my third reunion. I think it was at our family banquet when something that would change my life was revealed. It wasn’t the latest and greatest toy, or even the most expensive gift one could receive, but it was something that was truly priceless. Alex Haley didn’t publish it in a book, we didn’t have Dr. Henry Louis Gates come and film a documentary about it or present us with a book, and we were EONS from spitting in a tube. 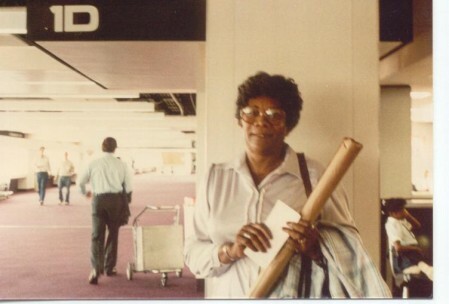 Here’s my grandmother, Annie, holding her just received family tree in Memphis International Airport in July 1985. That day, my cousin Dr. John W. Atlas stood before the family and presented what appeared to be rolls of architecture paper. There was writing on them, and it looked like it was done using carbon copying. Most of the notations on it were typed. The paper seemed REALLY long when you rolled it out. The rolls of paper were the first family tree we ever had. It had taken John years to gather the information. He traveled from state to state, talking to elders, cousins, and whoever could give him information. He went to our homestead in Lake Providence, East Carroll, Louisiana to look at records onsite; he visited Washington, DC to go to the National Archives to view microfilm copies of census records to confirm what they told him. Calls and more calls made coast to coast to make sure everyone was accounted for. In the end, nearly 400 people would be able to call each other relations and know exactly how they all fit in together. My aunt, Cora Atlas Thompson. I think this was taken not long before her death in 1985. As John talked at the banquet that day, some of the elders “felt the ‘unction to say a lil somethin'” about what he was talking about – to share what they knew about how we all came to be. 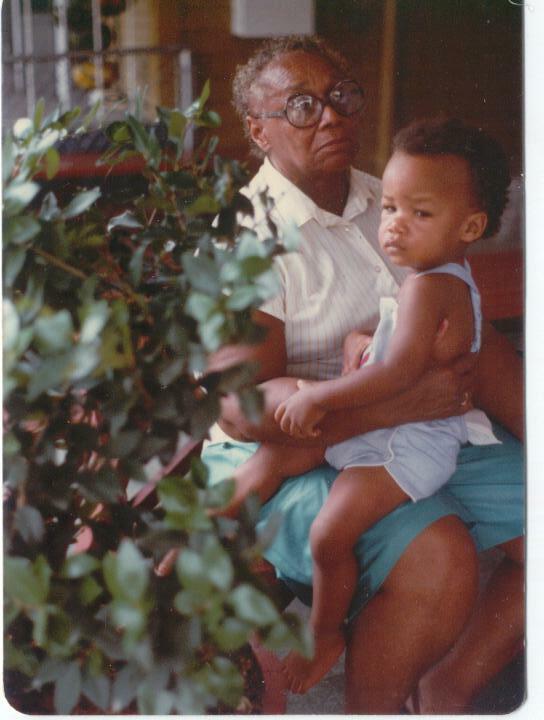 One of those elders was my grand aunt, Cora Atlas Thompson. I don’t remember all she said, but from what family members say, she basically laid “the whole family history out;” mentioning our formerly enslaved origins and more. No one recorded or wrote down what she said. Unfortunately, she died just five months later. Once we came home, from time to time, we would roll out the family tree we got at the reunion. I would sit and read it for what seemed like hours. I’d ask my mom about all the kids my age and where they were, especially my 50 second cousins. Now, as an adult, I can say that I’ve met or have talked to 90% of them. I know I wouldn’t have done it if I hadn’t seen them on that tree. By 1999, our family reunions had evolved to include additional branches of our family tree. In preparation for the reunion that year, my cousin Timothy Phillips, Sr. prepared an outline that went more in depth for his branch of the family. At this point, I was in college and still eager to learn more about the family. I questioned why we didn’t do more when we weren’t having our reunion, so I decided to create a website, and the rest is history. This year, AtlasFamily.Org celebrates 16 years online and I don’t even know where the time went! 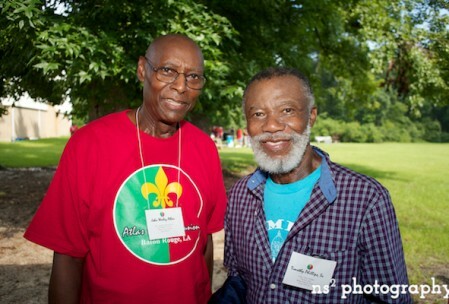 Dr. John W. Atlas and Timothy Phillips, Sr., creators of the Atlas Family Genealogy Research Project. By 2004, I was online doing research and by 2006, me and my cousins Jean, Gene, and Raichel were traveling from four different states to meet for two weeks just to do onsite research for our family. As I type this, we are tracking information for more than 2,800 people. One of my good friends jokes that it would stress him out to know that he was related to that many people. LOL For me, it’s a blessing. So, what exactly does more than 30 years of research, with a team of six people, look like? Does it live on a hard drive, in the cloud, or in paper files? Does it sit stagnant for long periods of time only to be periodically unearthed for more research? Is it held and guarded tightly, only to be revealed to a select few? I can’t tell you what your research should look like after you’ve been at this as long as we have, but what I can share is what we have done. both soft and hard copy files. a genealogy database that lives entirely offline, with a little one that lives online to “bait” family members just starting their search. a bunch of websites: one as a central portal, one just to share photos, one just to share videos. social media: we tweet, have a Facebook group (with nearly 300 cousins). a 400 page family history book. a self produced documentary, reunion DVDs…and a whole lot more. The entire reason why I created AtlasFamily.Org was so that I could share all I was discovering about the family with the family. I envisioned a day where family members would Google their own names and discover they were related to such a dynamic group of people. This is now a reality. The documents and photos that you are storing at home in hard copy form or on a hard drive can only do YOU good because you have them. When you unclinch your hands to release things to other family members, your hands are then opened and you encourage family members to place more back into them. To add, if you just share documents, you’re going to bore your family members out of any interest they have in your genealogy. Find creative ways that interest you and them to keep them from going to sleep on you or tuning you out. I considered myself a research hypocrite because I had never been to the place my family originated while I was spending so much time there virtually. Offline research trips will change your research, PERIOD. If I had just stayed in front of the computer, and didn’t bother to even venture to Louisiana, I wouldn’t have even thought about leaving North America to travel to our familial homeland in Cameroon. You also wouldn’t have priceless moments, like the one I had with my dear cousin Robert, when we were scared of snakes during a cemetery visit. Our team is young. Our team is seasoned. And yet, we’re still a team. Why do you need both elements working with you? One day, you may get too old to do your research and you need a successor and contingency plan. Or, you have the energy and the will but you need somebody with more experience to tell you the stories about how they dealt with separate but equal, how they made it through life, and what they remember about life back in the day before you came along. 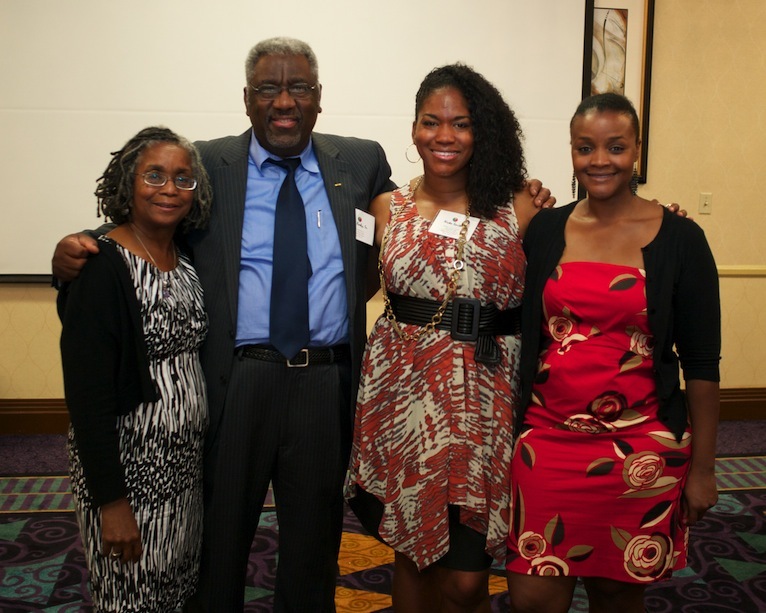 Our lovely research team: Jean Denton Thompson, Gene Rosby Sr, me, and Raichel Brown. Just do it! Thanks for encouraging words…the road trips are the best to meet family and visit family sites!